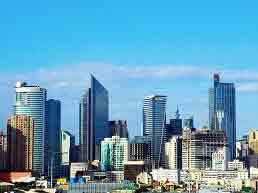 ﻿ 42 Real Estate Properties For Sale In The Philippines. Want to innovate the way you live? 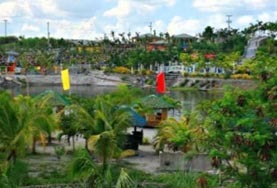 Alveo Land has centrally-located subdivisions and condomoniums that bring vibrant and upscale living to its clientele. Targeting upwardly mobile professionals and urban achievers, every Alveo Land development—from vibrant neighborhoods to groundbreaking living solutions to masterplanned communities—nurtures individuals to give them a place for living well. As the country’s leading developer of innovative, vibrant communities and groundbreaking living solutions, Alveo Land Corp. provides for the adapting needs of the upscale, urban achiever. Not only does it have an inherent passion and drive for innovation, but it also is armed with sharp foresight, unparalleled excellence, and total commitment. Alveo Land offers an impressive portfolio of complete communities with relevant-for-today, masterfully-designed amenities and its customer-focused services. With both of these in hand, it ensures that its residents and end-users live well. As for its history, Ayala Land, Inc., the Philippines’ leading real estate developer conceived of a company in 1995 dedicated to building homes which answer the needs of the urban achievers. The company was named Community Innovations Incorporated or CII by February 26, 2002. It was a move that reinforced a commitment to providing exclusively-designed living settings for the unique needs of urban professionals. It had a prominent new office address on the 18th floor of Tower One & Exchange Plaza in Ayala Avenue, Makati, the Philippines’ central business district. Officially opening its doors for commercial operations on March 1, 2002, Community Innovations has, since then, evolved into one of the fastest-growing real estate companies in the country. 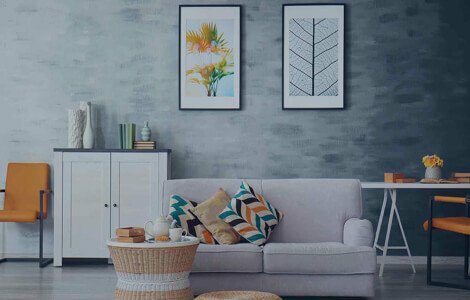 It flourished into building communities like Verdana Homes Bacoor, Verdana Homes Mamplasan, Verdana Village Center, Two Serendra, The Columns Ayala Avenue, The Columns Legazpi Village, and Celadon Residences. These properties are all superior developments which bear the mark of CII’s expertise and passion for innovation. In 2008, the company changed its name to Alveo Land Corp. as dedication to its customers deepened. Along with this came a whole new level of sharper foresight, unparalleled excellence, and total commitment for the company. Alveo is derived from the Latin word salveo, which means “to be well”. This is because the company doesn’t only find the means to build the most innovative homes. It also looks for ways to give the urban consumer the life she deserves. For Alveo Land’s newest launches, look no further as Alveo Financial Tower is your new, empowered corporate address. Located on Ayala Avenue in Makati, its address speaks for itself since it’s a distinguished piece of real estate right in the heart of the Makati CBD. It uplifts the modern corporate experience through its iconic structure. It’s also strategically located between an established business district and the vibrant, new, exciting growth center of City Gate. With its innovative edge, the structure will serve as a design catalyst for Ayala Avenue’s modernization. Features are carefully selected, like shared conference facilities and highly-curated retail offerings. Located in Bonifacio Global City is Alveo Park Triangle Tower, delivering a prime selection of workspaces, elevating business within a fully-integrated corporate community. Twenty-eight storeys high with contemporary office settings, it positions businesses at an absolute advantage. In Laguna, you can find a nurturing pocket community with Aveia. Find that this is the way life should be with a place envisioned to be a quaint, nurturing community for a complete and convenient suburban lifestyle. Accessible from Metro Manila via SLEX through the Mamplasan Exit or the Sta. Rosa Exit, it’s only minutes away from Makati, BGC, and Ayala Alabang. It’s also ideal for the family that seeks to balance both work and play with the perfect neighborhood setting for learning, nurturing, and community engagement. It has two entrances with guardhouses, a main central park complex with a 1.4-hectare central park, a clubhouse, a swimming pool, pocket parks, jogging and biking trails, and a basketball court. Experience everyday living moving at full speed in Callisto, located in Circuit Makati. You can extend your extraordinary experiences to contemporary living spaces fit for every unique lifestyle here. It’s located in the country’s ultimate lifestyle destination in West Gala Drive corner Theater Drive. Choose from the studio unit, the one-bedroom unit, the two-bedroom unit, the three-bedroom investor suites, or the three-bedroom prime unit. It has a contemporary design with leading-edge facilities like its interior designed lobby, a 100% stand-by back-up automatic generator system for common areas, round-the-clock security services and maintenance, proximity card access at elevators, and an amenity-filled podium. With sustainable features like four notches which promote natural ventilation in residential corridors, it also has dual-flush toilets, low-flow valves, LED lighting in common areas, and maximized natural lighting and cross ventilation. Its indoor amenities include a function room and boardroom in tower 1, and a fitness gym, library, and game room in tower two. Aside from those, you’ll have a lap pool, lounge pool, children’s pool, pool deck, outdoor lounge, lawn area, children’s play area, and a spill-over area. Experience vertical park living in Quezon City’s Vertis North with High Park, where life thrives. It’s an inspiring, new two-tower development in the master-planned, mixed-use city center of Quezon City. It’s an ideal location since it has prime access to business districts, medical and educational institutions, and major thoroughfares in the metro. Tower One has Sky Gardens on every three floors, while Tower Two has a Sky Park at the roof deck. Choose between a studio unit, a one-bedroom unit, a two-bedroom unit, or a three-bedroom unit. High Park also elevates the city’s green experience. Feel welcome with an al fresco lounge, a kiddie pool and lounge, a play area, a board room, an indoor fitness gym, an indoor playroom, function room, al fresco dining, and cafes. Have an energized living experience in NUVALI South with Mondia NUVALI in Laguna. Live extraordinarily in Alveo Land’s fifth horizontal development in NUVALI. Envisioned to be a 40-hectare residential subdivision, it offers a distinct natural park playground environment that promotes outdoor family leisure. You’ll have countless recreation opportunities with your family and have a diverse selection of park amenities for everyday breathtaking pursuits. 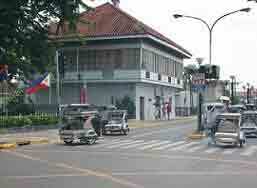 It’s also accessible from Metro manila via SLEX through the five exits of Mamplasan, Sta. Rosa, Eton/Greenfield City, Silangan, and Canlubang. What’s more, it will have two entrance gates with guardhouses, a planting strip version of landscaping, a main central park complex with a park and clubhouse and even swimming pools, pocket parks, basketball court, and jogging and biking trails. In Montala ALVIERA, have an eco-active suburban living experience in Alviera, Pampanga. Let life be your playground in this picturesque mountainside community with an array of modern-day conveniences. Its unique landscape feature is that it’s nestled in the highlands of Alviera. Evoked by the community’s close integration with the natural environment is the concept of “urban living naturally”. 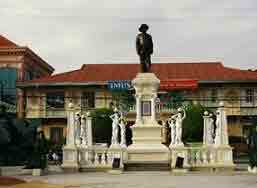 Montala is situated in the north-western area of Alviera in Porac, which is a first-class municipality in Pampanga. 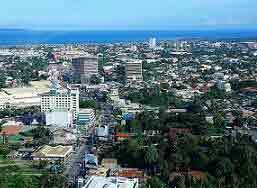 It’s near the bustling Angeles City, the capital of San Fernando, major thoroughfares like the SCTEX and NLEX, and local roads. Experience life, all around with Davao’s Patio Suites. With Accendo Commercial Corporation as project developer and Alveo Land Corp. as project manager, Patio suites surrounds you with a full array of lifestyle and recreation choices, verdant views, and a refreshing open space. It’s located in a dynamic district which becomes your own urban getaway. It’s 26-storeys and two towers of choice amenities and a unique location at the heart of Mindanao’s center of growth. Choose between a studio unit, one-bedroom unit, two-bedroom unit, or three-bedroom unit. It’s situated in Abreeza, which is a 10-hectare complex that also includes Abreeza Place, Abreeza Residences, Abreeza Mall, Abreeza-Ayala Corporate Center, and Seda Abreeza. This is an intuitively planned space with a gym, board room, outdoor living spaces, activity lawn, kid’s play area, lap pool, kid’s pool, and a multipurpose hall. Let your address speak for itself in Valero Street, Salcedo Village-located The Gentry Residences. It’s master-planned with a great attention to detail, so you can live beyond the bare necessities. Make a distinguished life with a studio unit, a one-bedroom, a two bedroom, or three-bedroom units in Barangay Bel-Air. Masterfully merging the distinctive lifestyles found in Makati, it provides a unique vantage point for your home life and work life. It has sustainable features like two ventilation notches for each residential corridor, dual flush toilets, low-flow valves, LED lighting in common areas, maximized natural lighting, and maximized cross ventilation. It has a beautifully-designed interior lobby, a practical standby generator set for common areas, 24-hour security and maintenance services, and CCTV cameras. As for its amenities, enjoy two pools, a function room, an outdoor kid’s play area, and a gym to be located in the retail area. 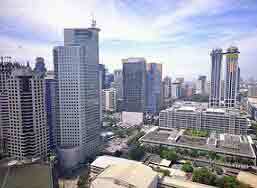 Enjoy being in Makati’s top emerging office address with The Stiles Enterprise Plaza. Experience workscapes on a whole new scale with the first office condominium in Circuit Makati. To provide dynamic units for ownership, the landscape development is master-planned for spatial innovation and making the space your own. You can choose between corner units, middle units, or even the whole floor as your office space. It’s located in a strategic location composed of the most thrilling leisure, business, and residential spaces, capturing what it means to enjoy living and working in Makati. It’s also built responsibly and managed efficiently, harnessing the latest technology and practices in architecture, construction, and structural administration. Enjoy working with modern common areas, individual units with monitoring of air-conditioning, electricity, and water, an interior-designed signature lobby and common areas, a centralized chilled water cooling system, a water reservoir with separate fire reserves, and a modern fire security system. 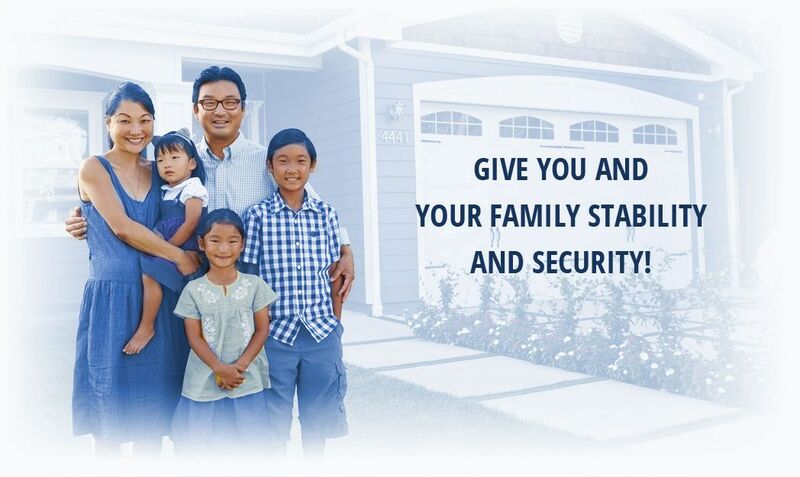 Also there is a round-the-clock security service. As for its sustainable features, it’s LEED-certified, has LED lighting for common areas, dual-flush toilets in common restrooms, and low-flow valves in common restrooms. It also maximizes natural lighting and has green landscaping features on the 10th floor and its rooftops. Want to try relaxed urban living in The Veranda in Taguig? It’s a development where nature and the city connect within Arca South, North Veranda. It’s a four-tower mid-rise with 12,998 sqm as your intimate, relaxing home in a city vibrating with life. It’s designed to capture a serene lifestyle embraced by nature with its numerous green spaces and open areas. Find your peace and quiet solitude with a studio unit, one-bedroom, two-bedroom, or three-bedroom unit that’s interconnected, efficient, and sustainable. 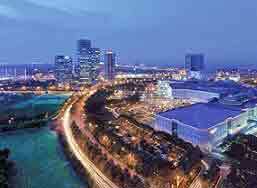 It’s accessible to major cities and destinations and is organized and efficient with a transportation hub located inside. Its outdoor amenities include pools, a n outdoor play area, and a koi pond. Its indoor amenities are a lobby and reception, a function room, gym, game room, indoor play area/day care, atrium gardens, and a mail room. Currently selling is Abreeza Place in Davao City, Davao. Experience leisure condo living, more relaxation, and more recreation. You can find solace in lush gardens, freshness in cool waters, diversity in stylish shopping choices, and inspiration in brilliantly designed structures. Designed to provide a natural sense of ease and relaxation, Abreeza Place has chic and modern amenities. Choose between a studio or one-bedroom units. 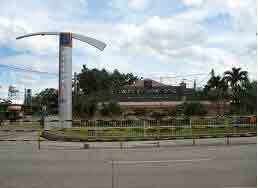 It’s also situated right across Abreeza Mall in Davao’s emerging premier lifestyle hub. Its outdoor amenities are its swimming pools, pool deck, landscaped podium gardens, and a roof deck garden. Elevate your spirit with its indoor amenities like the clubhouse with function rooms, a fitness gym, a multimedia room, and a game room, as well as its lobby and lounge areas. Work in innovative workscapes in Cebu’s landmark address, the BPI Cebu Corporate Center. As the Southern Philippines’ number one business address, it’s Alveo Land’s first office condominium in the Southern Philippines. 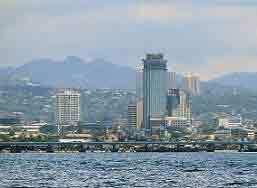 It’s the only development in Cebu ti launch professional work spaces available for ownership. Choose between retail units, typical units, or penthouse units. 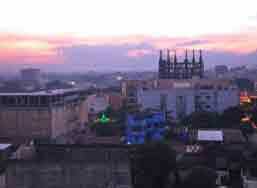 It has an iconic façade rising in Cebu Park District, a dynamic lifestyle mecca. It’s also the address of choice for multinationals and industry leaders. 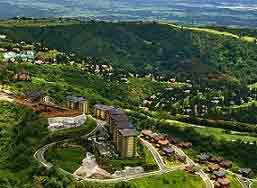 Have a timeless Tagaytay leisure experience with the leisure residential condo, Kasa Luntian. It has a quaint retail strip tucked away from the main road. It’s also envisioned to be a unique destination with dining concepts like organic bistros and coffee shops, and boutiques with special finds. 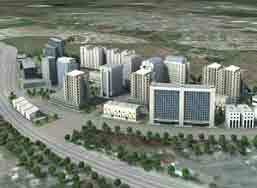 It’s low-rise and low-density with 3.06 hectares to 7.56 hectares. Choose between a studio, one-bedroom, or two-bedroom unit located in Calamba Street in San Jose, Tagaytay. It’s just about an hour and a half away from Metropolitan Manila, so it’s a quick getaway from the pressures of city life. Its central amenity area has a viewing pavilion, a jungle play area, pools, cascading jacuzzis, pavilions, and an open lawn. It has pocket parks with open greens, nooks or pocket seating areas, an herb garden, a coffee orchard, a rain garden, an elevated Creekside walkway, and a tree house. It even has indoor amenities like function halls with spill-over areas, community lounges per floor, and community deck or a roof deck. Enjoy leisure condo living in the heart of Manila with Celadon Park. Have a different way of life as Celadon Park stands out as a picturesque, tranquil gateway in the heart and haven of glories Manila. It’s an outstanding community dedicated to your relaxation. And, it’s Ayala Land’s first foray into Manila, as an integrated business, retail, and residential development. Choose from your options: a studio unit, a one-bedroom unit, or a two-bedroom unit. Located at the former San Lazaro Hippodrome, its landmark location connects you to a number of top educational and medical institutions, as well as commercial and business districts. Experience life with a 25-meter swimming pool, lounge pool, a jacuzzi and sauna, a children’s pool, private massage cabanas, garden sitting areas, barbecue and grilling area, an exercise lawn, and a meditation garden. It also has a basketball court and inside, function rooms, children’s activity area, gym and fitness center, and game room. As High Street South’s hub for inspired organizations, High Street South Corporate Plaza is a fitting addition to Ayala Land’s office development. The first ever Ayala Land office condominium to be made available for investment by end-user enterprises since the 1990s, it’s one of the most prominent addresses to be offered in Metro Manila. Spanning three prominent blocks in BGC, it will be a two-tower landmark and corporate headquarters with an impressive façade of a double-glazed glass curtain wall system and aluminum cladding. It has a retail plaza on the ground and mezzanine floors, as well as a complementary, adjacent pedestrian park. Lumira NUVALI is NUVALI South’s nurturing neighborhood community in Laguna. Illuminating everyday with natural encounters, it’s Alveo Land’s fourth horizontal development in NUVALI. With 45 hectares composed of 11 neighborhood clusters, it’s close to Alveo Land’s Venare, Treveia, and Mirala. It illuminates the neighborhood experience through innovative master-planning. It only has a select number of generously-sized lots arranged intro clusters. With two entrance gates, a main central park complex with a park, clubhouse, pools, pocket parks, and a sunken garden, live life every day in Lumira NUVALI. Experience convergent workstyles in Park Triangle Corporate Plaza in BGC, Park Triangle’s hub for inspired organizations. It’s Alveo Land’s newest corporate tower, and it brings together contemporary workscapes in a stylish business address. It’s also a standout in BGC’s corporate office row, willing to be an iconic enterprise headquarters. The lifestyles of work, home, retail, and nature converge in congruent visions here at Park Triangle Corporate Plaza. As for convergent living in BGC’s Northern Gateway, Park Triangle Residences is a masterplan of convergence with everything in one address. It has exclusive access to well sought-after retail and office destinations, it’s the metro’s magnetic new address since a 5-storey Ayala mall is right below the development. 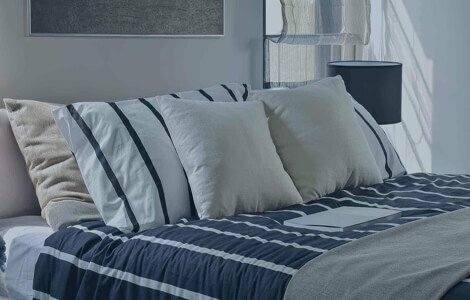 Choose between studio, one-bedroom, two-bedroom, or three-bedroom units for a bold new angle on city living. It has a ground floor lobby and drop-off, 4th floor access to Ayala Malls Park Triangle, a function room, an indoor lounge, gym, play area, board room, pools, jacuzzis, a view deck, lounges, jogging paths, lawns, and areas for play and yoga. Patio Suites in Davao is developed by Accendo Commercial Corp. with Alveo Land Corp. as its project manager. It surrounds you with a full array of recreation and lifestyle choices with a district that becomes your own urban getaway. Choose between a studio unit, a one-bedroom unit, two-bedroom unit, or three-bedroom unit at the heart of Mindanao’s center of growth. Live the urban courtyard life with Portico in Pasig City. Live the unhurried life as Portico features an urban courtyard experience like no other with lush greenways, cobblestone pavements, and charming open spaces that flow into each other. 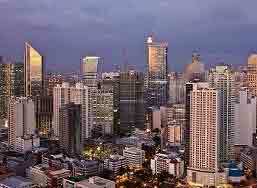 It’s just within reach of the business centers of Ortigas, Quezon City, BGC, and Makati. Its first residential tower is The Sandstone, and it’s nestled in a quaint and charming environment. It’s set to become a delightful new haven for those yearning to unwind, have a change in atmosphere, and spend time with family and friends. Choose between one, two, or three-bedroom units, three-bedroom twin flats, or courtyard villas and penthouse units. It has pools, a pool deck, an outdoor lounge, a lawn area, and themed garden courtyards. You’ll also have a function room, an indoor fitness gym, a board room, indoor play area, and indoor lounge in Portico Phase One’s clubhouse. Live the City Resort Life in Solinea, the city’s most exclusive in Alveo’s first master-planned, multi-tower residential development in Cebu. Presenting you with a brilliant living experience, choose between a one, two, or three-bedroom unit. 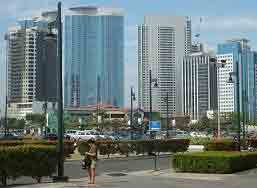 It’s strategically located in Cebu Park District, within Cebu Business Park, right across Ayala Center Cebu. Experience Solinea Amenities with the retail promenade at the ground floor, a landscaped podium deck, a roof deck, landscaped parks, outdoor event venues, and a clubhouse with a gym, function room, dance studio, game room, and multipurpose room. It has 1000-sqm multi-experiential pools, too, and Lazuli Tower amenities like hammock cabanas, an outdoor lounge, function room, sky deck, a kids’ play area, outdoor seating areas, and a multipurpose room with multimedia capacity. Experience multi-faceted, fun living in Circuit Makati with Solstice, the first residential community of Alveo Land at the heart of Makati’s lifestyle playground. It’s just a beat away from the busy urban landscape, with dynamic avenues, and a choice between studio, one-bedroom, two, or three-bedroom units. 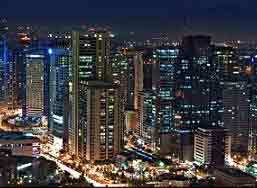 It’s the landmark residential community of Circuit Makati, with proximity to the Makati CBD. It has sustainable features and outdoor amenities like pools, a pool deck, a juice bar, an outdoor lounge, an outdoor gym, a lawn area, a play area, a pocket garden, and a bamboo garden. Live the fine art of inspired city living with The Lerato, where you can nurture your creative mind and artistic spirit. It’s at the Makati CBD North, Makati’s newest creative hub. The Lerato is a master-planned residential community with three towers, set within a quirky 9,813 sqm land area. Choose between a studio unit, one-bedroom, or two-bedroom unit. It has various amenities at the 6th level podium with interconnected open spaces and naturally-ventilated elevator lobbies. With sustainable features, it also has pools, a gazebo, a children’s play area, a jogging trail, and lounge areas/gardens. In Tower One, you can find a workout studio, a game room, a meditation room, and a landscaped roof deck. In Tower Two, find function rooms, a kid’s art lab, a music room, and a theater room. In Tower Three, there’s a culinary studio, a mega function room, a library, and a lounge area.